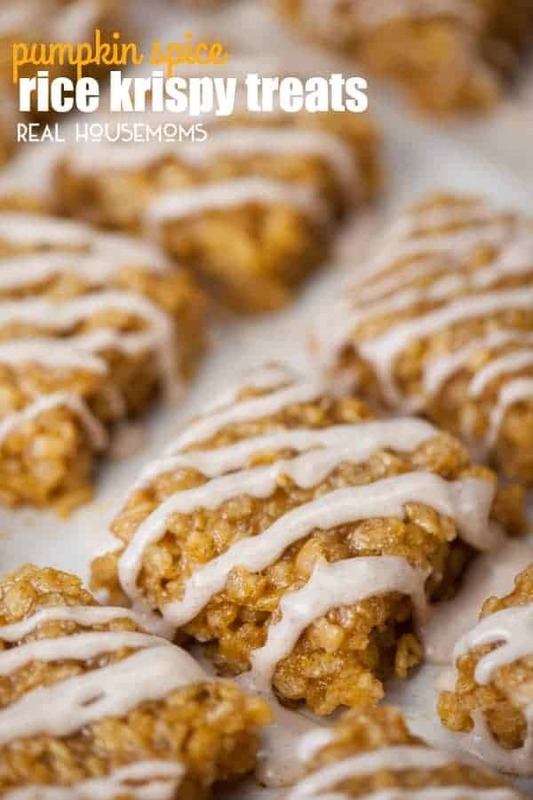 Transform a favorite classic dessert into a fall favorite by making these super chewy and sweet PUMPKIN SPICE RICE KRISPY TREATS! It’s that time of year again! 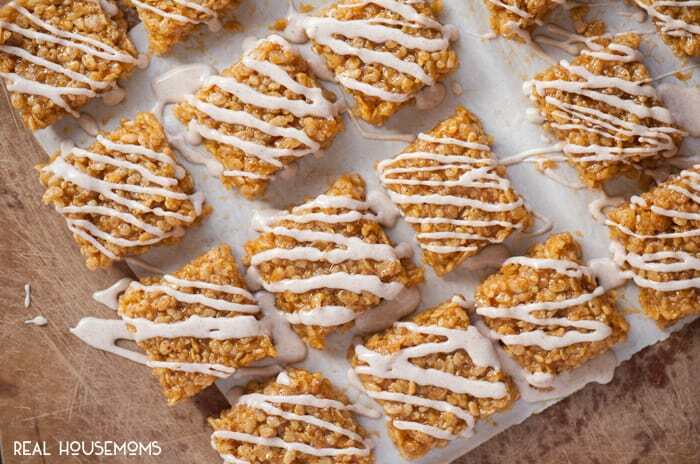 Pumpkin spice is everywhere, so it’s only fitting that we add it to our rice krispy treats, right? 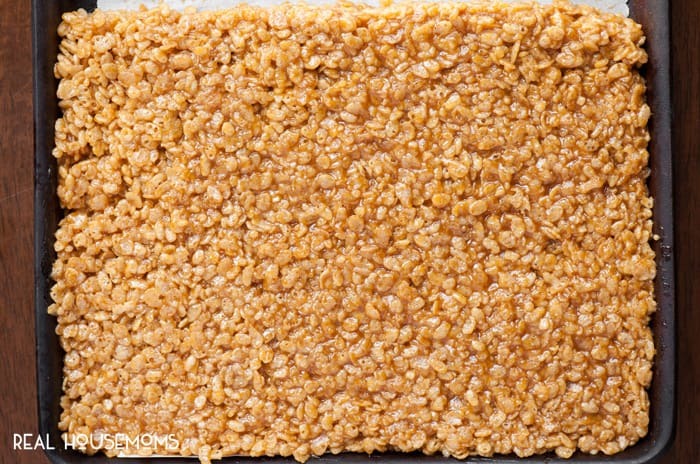 Everyone has enjoyed rice krispy treats in their life. Some, namely me, more than others. When I was a kid we used to not even bother making them properly. We would just throw some marshmallows with a wee bit of butter into a bowl, microwave it until it got puffy and melty, sprinkle in just the right of rice krispies, and then go to town with a big ol’ spoon. Even now, as a parent, I’ve taught my kids the fine art of making rice krispy treats on the fly. I have never, however, added pumpkin to my rice krispy treats. We all know pumpkin makes everything better. From chocolate to cake to chili, you honestly can’t go wrong with this wonderful fall fruit. It is a fruit, right? Well, incorporating them into this recipe was the right choice too. 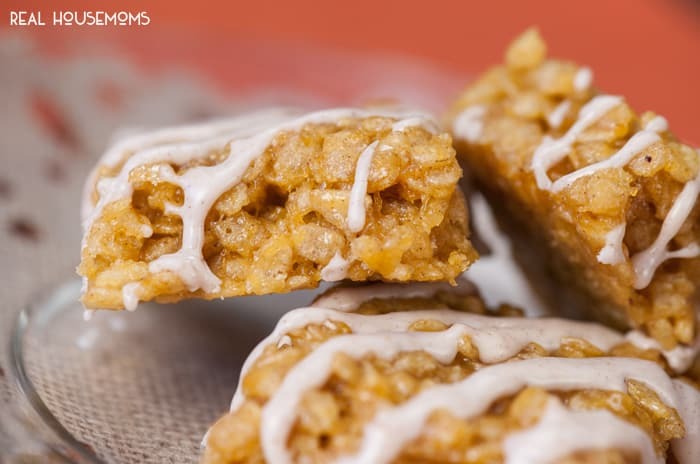 These pumpkin spice rice krispy treats are much softer and chewier than your standard krispy treats. I do add a heck of a lot of pumpkin. 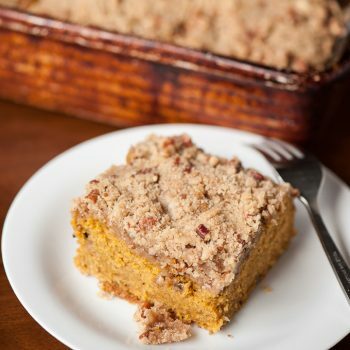 You can always scale back the pumpkin and add more rice krispies if you’d like, but this is how I made them and they were awesome, in my opinion. Now that cinnamon glaze? Yep, you guess it. That glaze put these over the top. Enjoy! Line a bar pan with parchment paper. This recipe will fill half the bar pan, so plan to use only half the space or make a double batch! Cook the butter in a large dutch oven over medium heat, stirring regularly, until it becomes golden brown and begins to smell nutty. Add the the canned pumpkin, marshmallows, pumpkin pie spice, and vanilla. Stir until the marshmallows are melted. Remove from heat. Stir in the cereal and gently fold into marshmallow mixture until fully coated. Transfer to the prepared pan and press in evenly with a piece of parchment paper. Let cool for at least 20 minutes until set at room temperature. Once set, mix the icing. 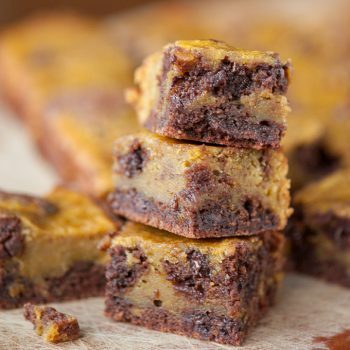 Cut the treats into squares and then drizzle the icing on top.